Fashion digital marketing optimization are four words to describe Fashionbi, a company empowering fashion and luxury brands. In this day and age, with the social media boom, brick-and-mortar stores having to not only compete with their next door neighbors but also e-tailers on the web, and the emergence of “omni-channel” retailing, it is increasingly becoming harder and harder for brands to 1) stay afloat with their promotion goals, 2) remain up-to-date with the latest trends in the industry, and 3) track competitor performance and tactics. That’s where Fashionbi comes in. We’ve decided to spotlight Fashionbi because we love that it is the easiest way to discover, compare, and follow facts and data in the fashion industry: a complete dream for tastemakers and marketing dynamos who converge to share and absorb knowledge and new expertise. Headquartered in a fashion capital? Check. The company is based in Milan, Italy but has a true global reach with team members in China, Turkey, America, and Europe. Launched in 2012, this company boasts an international team that is able to truly serve its client brands and provide the best globally-relevant luxury market and brand research to help companies establish prowess in their niches. We identify with Fashionbi because it is the first company to specialize in digital marketing optimization for the fashion industry, similar to how Shopilly is the first optimization tool for fashionistas and shoppers. Fashionbi lets you track, compare and follow any fashion brand and helps you improve your brand performance just as Shopilly allows you to track your purchases, compare new arrivals and sales promotions, and follow your favorite retailers to help you improve and streamline your shopping experience. Need to increase awareness for your brand, or work to solidify the associations behind your brand? Are you meaningfully tapping into social platforms such as Facebook, Twitter, and Instagram? Request information with Fashionbi today to learn more about how this company is making waves, and can help your brand make waves today too. Follow them on Facebook and Twitter today to learn more and stay updated with the company! Shopilly and Reiss Announce New Partnership! 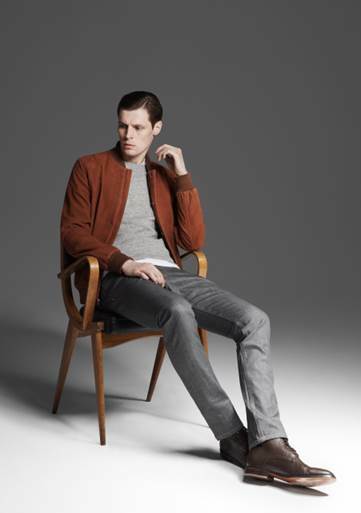 We at Shopilly are very happy to be partnering with the global fashion icon, Reiss, which is launching its new Men and Women’s collection (called the “Reiss AW13 Collection”) on August 6th. Reiss is a respected brand worldwide and has a strong following ranging from famous Hollywood celebrities to the British royal family. Please check out a preview of the catalog below, and visit the Reiss website for a closer look at the catalogs as well. Womenswear collection is a flexible wardrobe of timeless pieces that you can play with according to your mood. Modern Femininity exudes the Reiss women’s wardrobe bringing the past into the future. Feminine silhouettes are the crux of the season with staple items re-assessed and subtly re-worked, looking at detailing and fabrics. Fabrics include modern parachute cottons, pure silks, fine gage cashmere knits and double-faced crepes. The color focus is Rose, Absinthe, Duck egg blue, Lilacs and Lavenders, Black and Whites. Menswear collection is timeless and believable for the self-assured man who has an adventurous spirit, rugged and boisterous. When designing the collection, Reiss design team was inspired by how children’s books simplify grown-up situations with a playful approach. The collection also works as separate pieces with functionality and art at its core. The styling is a reductive and restrained offering with an undeniably stylish etiquette of dress. The color palette is built around Persian ink, Empire blue, soft and dapper grey. Luxurious fabrics were chosen for the collection including wool, cashmere and Italian leather.